Every bend in the Colorado River was breath taking. Every rapid was exciting. The side canyon hikes were beautiful and majestic. Our Western River guides Lucky and Kelly were the best host and entertainers. Our expectations of the trip was exceeded many times over. The food was fantastic and we gained weight from eating too much. 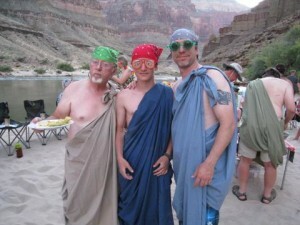 We are starting to plan our next trip for rafting the Grand Canyon in 2015 and bringing more family with us. Western, you guys and gals are the greatest. Thank you for giving my son, grandson and I the most amazing adventure of our life.